Kandy Kush is a favorite that combines two California classics, OG Kush (thought to be the “Christopher Wallace” cut) and Trainwreck, to make a tasty indica-dominant hybrid (although sativa phenotypes displaying more of the Trainwreck structure have been noted). Like the name suggests, the flavor is sweet like candy with a strong lemon-Kush scent. Very popular with medicinal growers, Kandy Kush provides a potent indica high with pronounced pain relief. 4 reviews for "Kandy Kush – Hybrid"
Nice and smooth tasting bud, good for daytime or night time usage since it doesn’t crush you into being couch-locked. You can still function normally while feeling relaxed and stress-free. 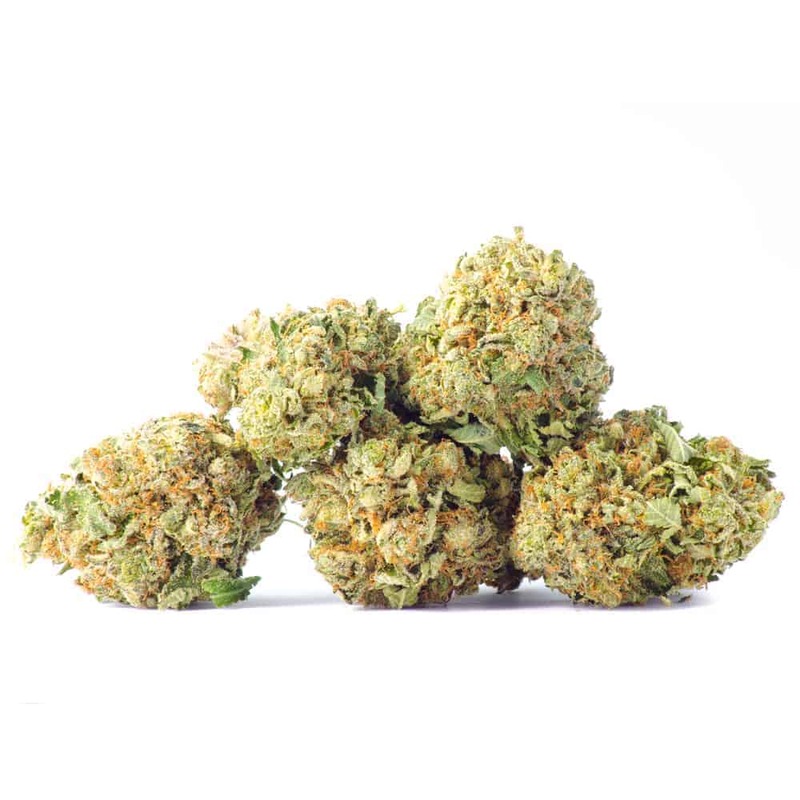 Also good for treating anxiety and chronic pain as it helps to greatly reduce those symptoms as well, great price too and super fast delivery too as can always be expected from Goldbuds! My first hybrid, and I love it! Calms and helps reduce stress and pain. Another product that I will reorder! Awesome! Good for day or evening use, I’m very pleased with this one. Will definitely reorder!